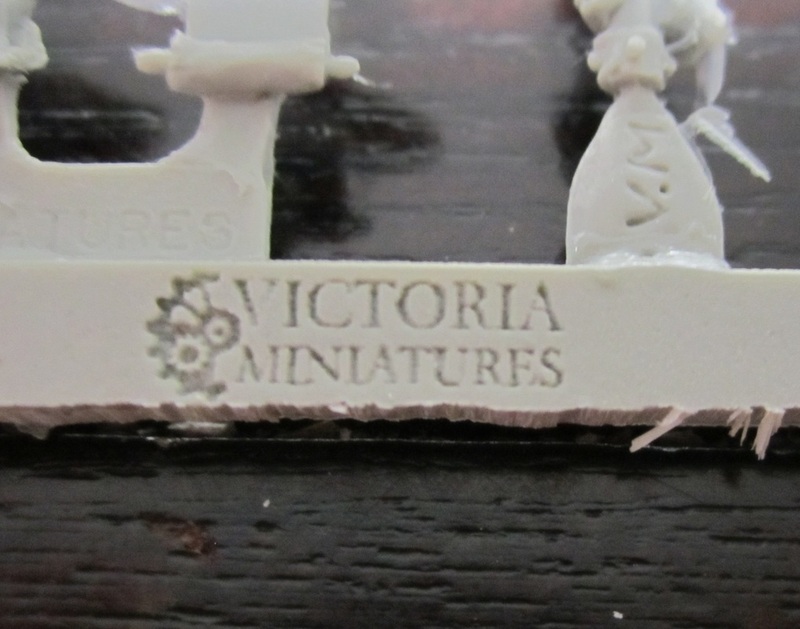 Victoria Miniatures is an Australian company set up by Victoria Lamb. She's a multi-award winning miniature painter and sculptor who (amongst other things) pioneered the object source lighting (OSL) technique so common today. For more of her work, have a look at the gallery on her site. She currently has a number of ranges on the go, but specifically the Galaxy's Finest line which are perfect for any Imperial Guard player, or even anyone who wants to build a unique human army. 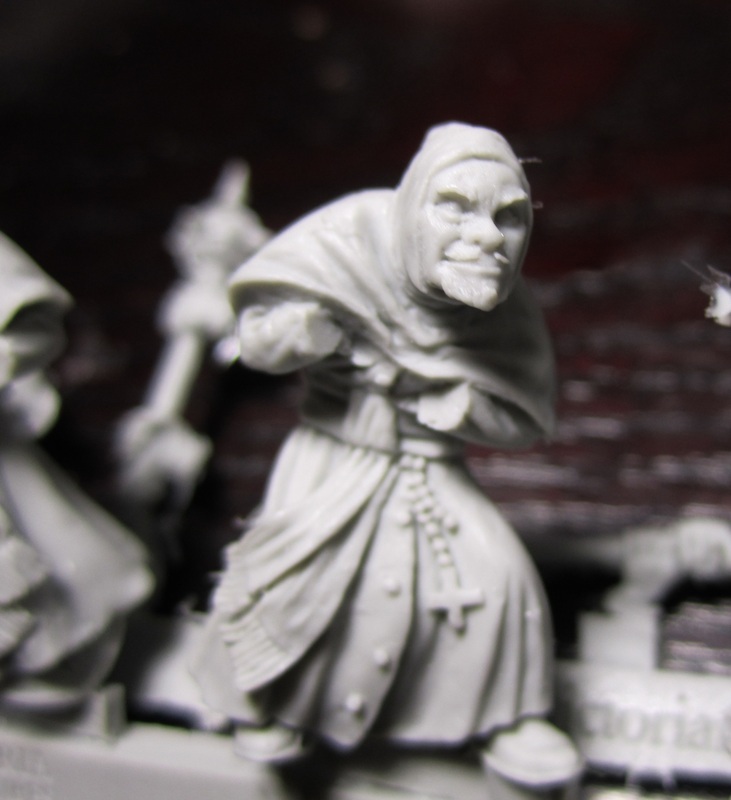 But these armies aren't just available as units, she has an extensive Conversion Bits section so you can easily add to your existing army, or build one out of your own imagination. 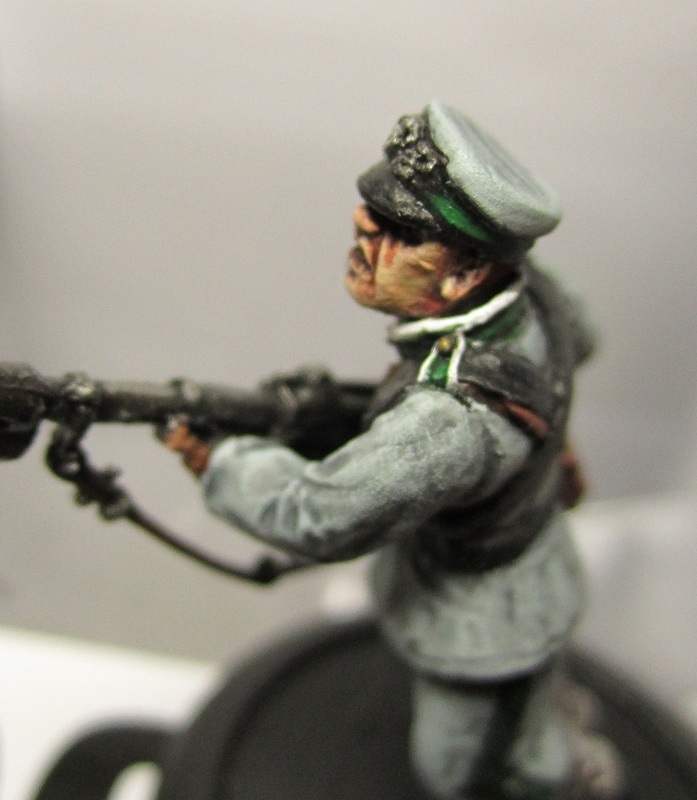 You'll also find on her site the amazing Imperial Guard "Caine's Cannon Fodder" painted army, including numerous conversions and a custom Michael Caine head sculpt. This complete force is also for sale! 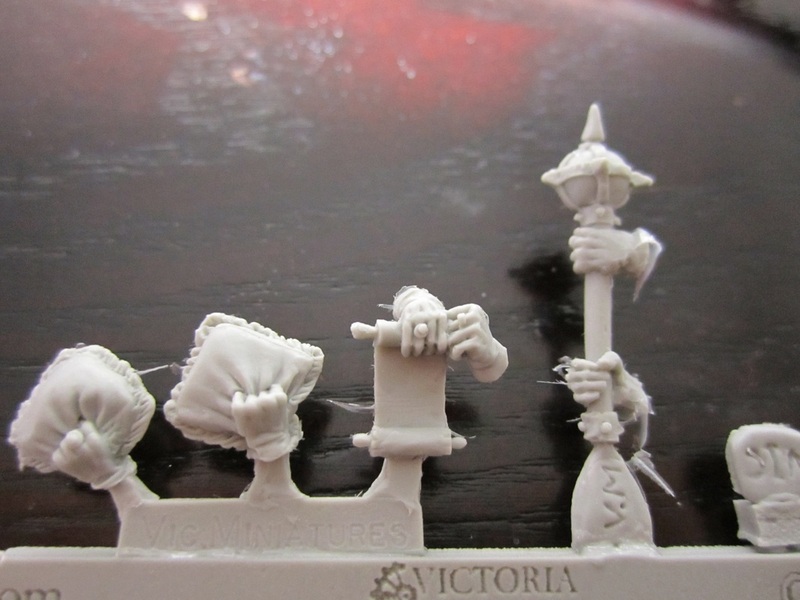 As you can see below, I'm quite the fan of Victoria Miniatures; the designs are original, the sculpting is great and the prices are fair, plus she's in Australia so I have to be loyal to a local business going out of their way to produce cool stuff. When they started towards resin I was concerned, especially after Citadel Finecast so I ordered some and was pleasantly surprised by that initial batch. So today when I received my latest order I just had to show you how good this resin actually is! Honestly, hands down this is probably the best resin out there! 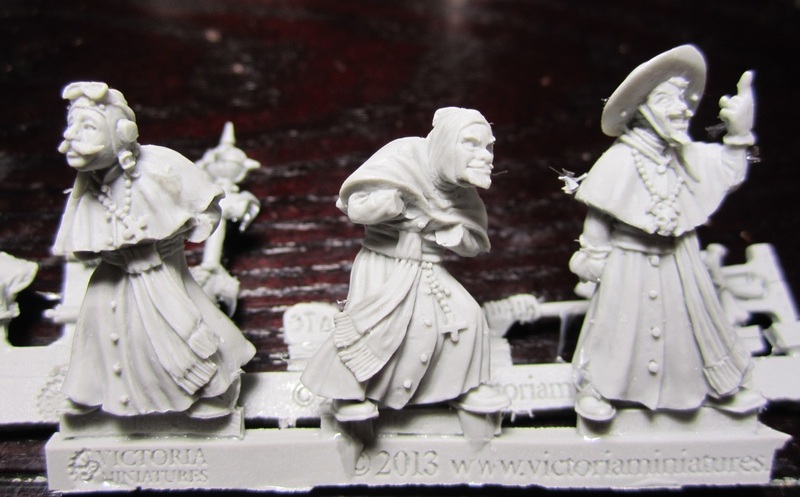 The Victoria Miniatures Inquisition set - click picture for the link. The beautiful sculpting on this set is complimented by the resin and crisp moulding. The set itself is full of character, reminiscent of a certain Monty Python skit without being all about the Monty Python skit. 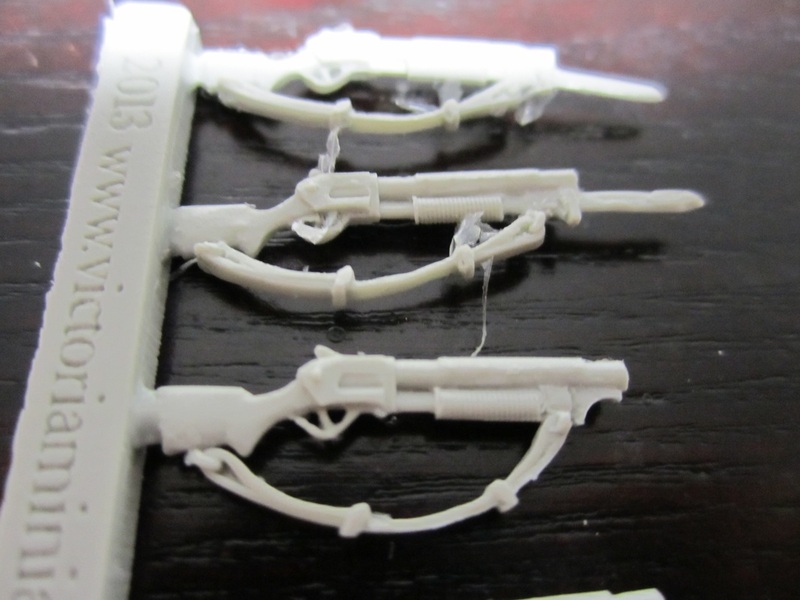 The feel of the resin is smooth and hole-free, if undercoated correctly these will look beautiful! 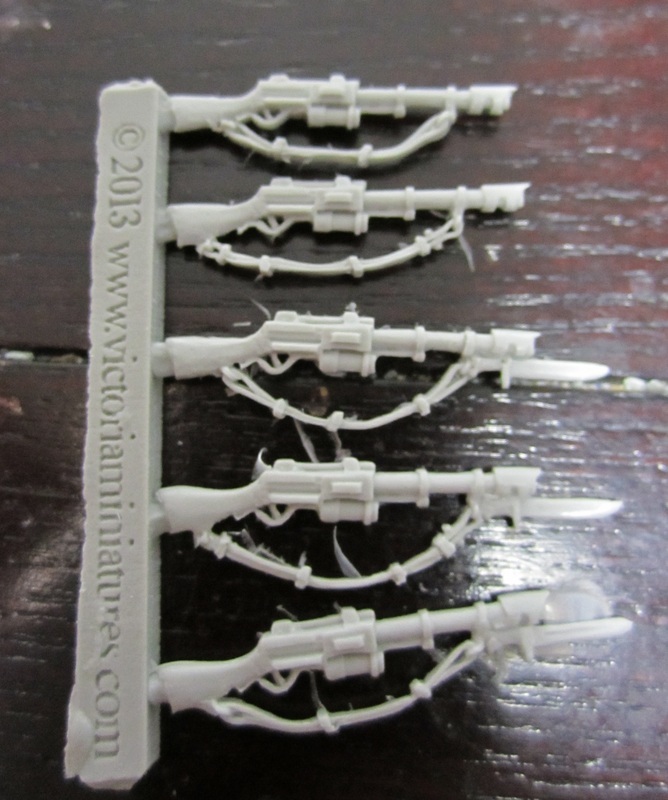 Victoria Miniatures have always done nice weapons, and smart operators as they are, they ask the fans what they would like. Go to their Facebook and there are previews and places for fans to have their say as to the next releases and to garner ideas - the shotguns were just such an example.\As you can see from the moulding on both the sets above, the detail is fine with just small flashing which you can actually rub off with your finger. The detailing might be fine, but they are strong, robust and perfectly to scale. Even on fine pieces the resin is crisp and clean. 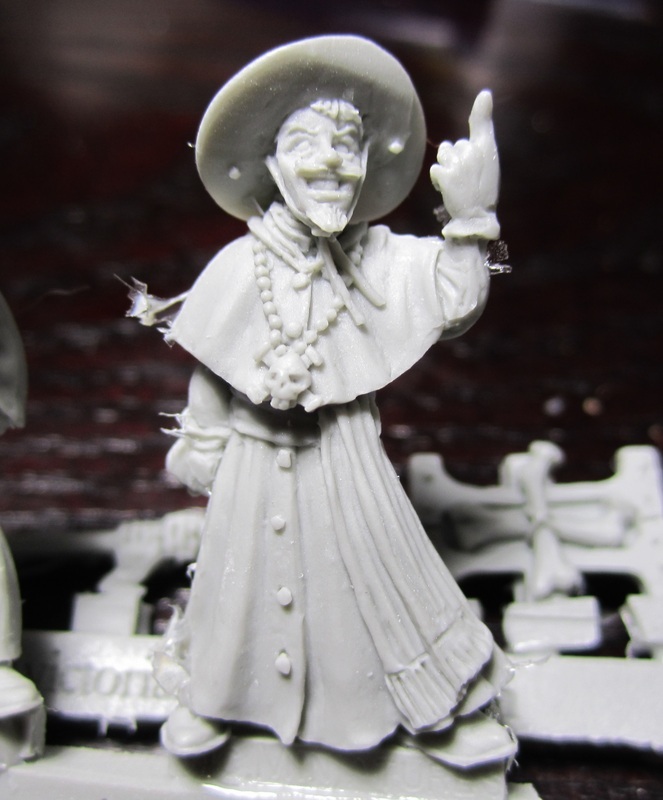 Look if you're a mini fan and you like resin, then I can't recommend Victoria Miniatures enough. Even if you're into your metal there is still some left so head over. and get your fix. If all companies - even the big ones - did stuff this nice, there would be a lot less whinging in the community. So the thought on this figure was a soldier/ Military Policeman tasked to watching over a government building. Enemy civilians are wandering past or being escorted away. He's not wearing full combat kit as the main fighting is over - his forces hold the city as rebels move on the outskirts desperate to take it back. I imagine the C'thood as part of a coalition force, the look of this uniform is simple enough to be mass produced and still ring true. The armband is made from Green Stuff (rather crudely on closer inspection) and the marking meant to denote a unit on policing duties. When I saw them, I was immediately captured by the C'thood heads - I just had to make at least one. The detail is just amazing, and this is on the white metal version! I wanted them to look almost crab-like but with soft fleshy tentacles which turned out to be quite a challenge. I used the Victorian Legs, Torsos & Arms as I really liked the steampunk aspect to the gaiters and the H-straps across the chest. This army would ideally be steampunk-ish. I added the two black pouches with Green Stuff, but the other one is also from Victoria Miniatures. 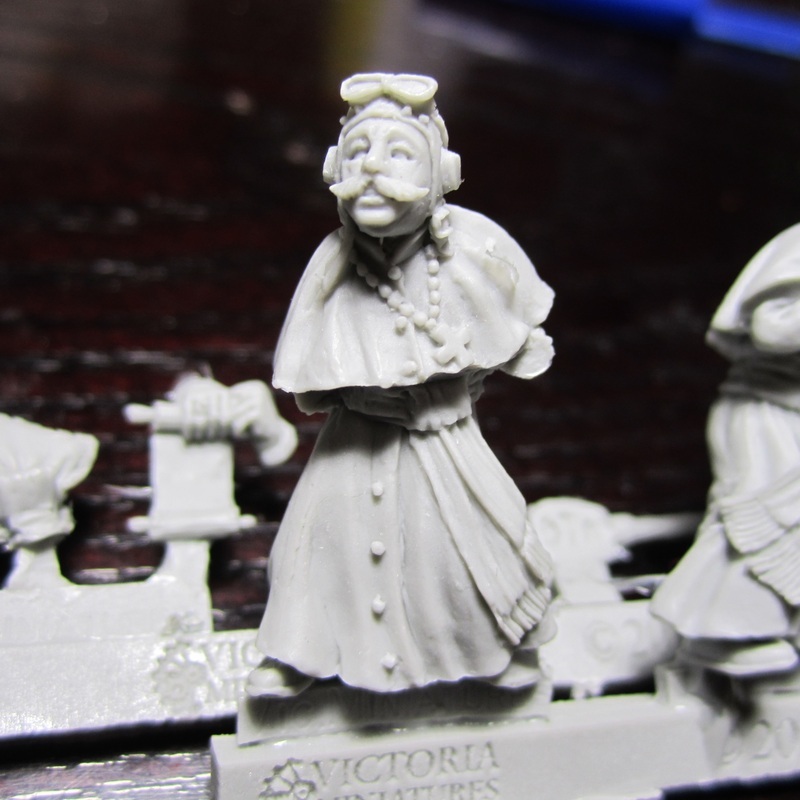 The goggles are also Victoria Miniatures and absolutely amazing! I can't rave about them enough. The idea of city garrisons has always interested me. It's old school, but interesting to have a standing military unit garrisoned in a major city for times of crisis. This is where this guy comes from. He's part of a city garrison and something has happened; a riot, invasion, coup - something to cause him to race from the barracks, maybe the guard house, to assist. 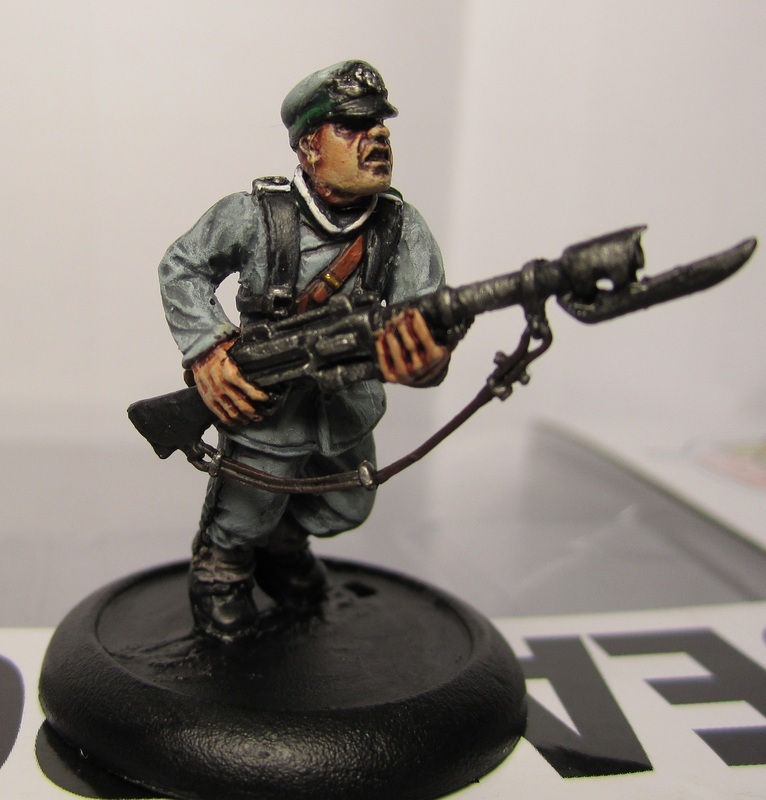 I used almost exactly the same parts on this guy as the C'thood Military Policeman; Victorian Legs, Arms and Torso. I purposely made his uniform plain and basic, but also something that wouldn't look out of place in a city environment. Here is a view of his regimental colours, and shiny badges. 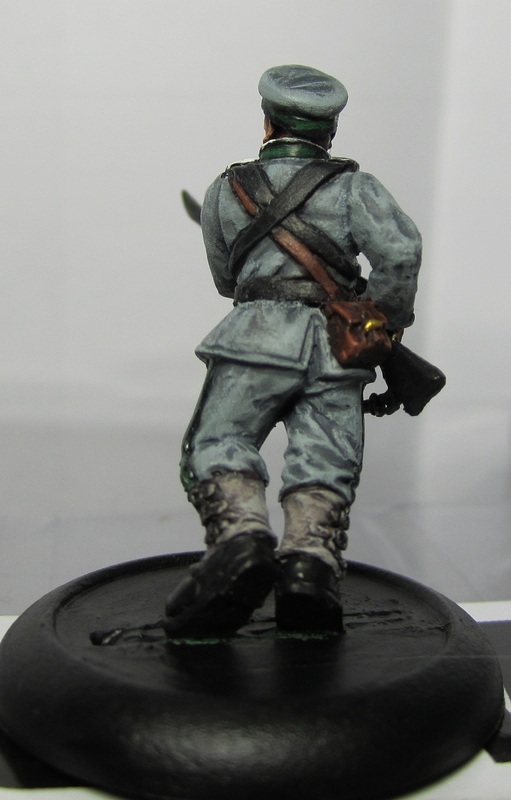 The green just seemed to work with the light grey so well and the gold button on the epaulette looks cool!